OLD PARKED CARS. : 1972 BMW Bavaria Sedan. 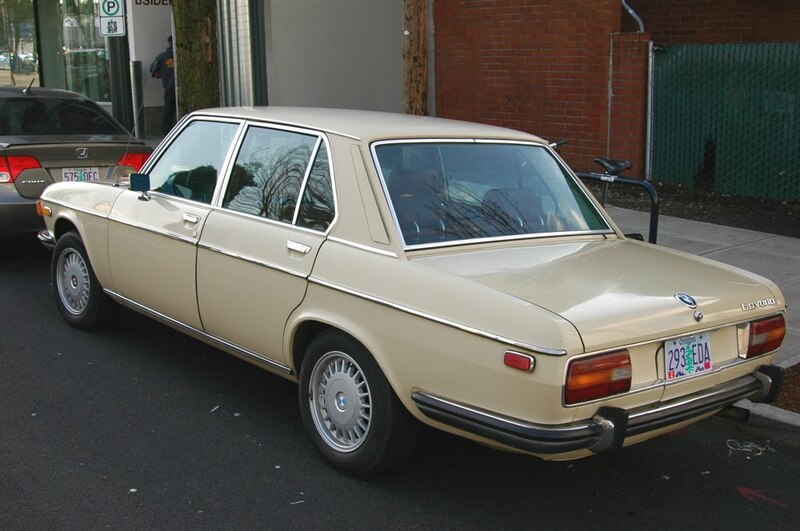 BMW and Mercedes could arguably be thanked for producing the only truly tasteful passenger cars of the 1970s, and this one is a lovely testament to that, in era-appropriate (but again tasteful) flat butter/tan exterior and saddle/buffalo(?) leather upholstery. Worlds away from anything the States were offering. Correct me if I'm wrong, but those alloys first appeared on the much later E32 7 series (base US 735 I believe) and E34 5 series (likewise base US 525). Either way, they look great here. 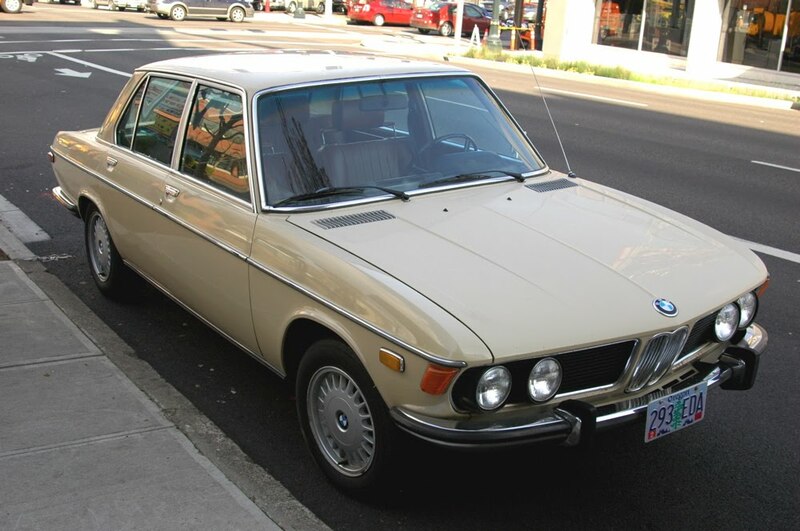 And that's a testament to BMW's golden era of brilliant design continuity that stretched for nearly 20 years. PS like the tag 'quad rounds', as that is certainly what those iconic headlamps are. Also like how you captured an angle that shows how the lights are neatly staggered. Overall, so very charming. That's gorgeous. The complete and thorough trim really does it for me. Interesting cowl's too, don't think I've ever said that before. Quite nice in this older model too. 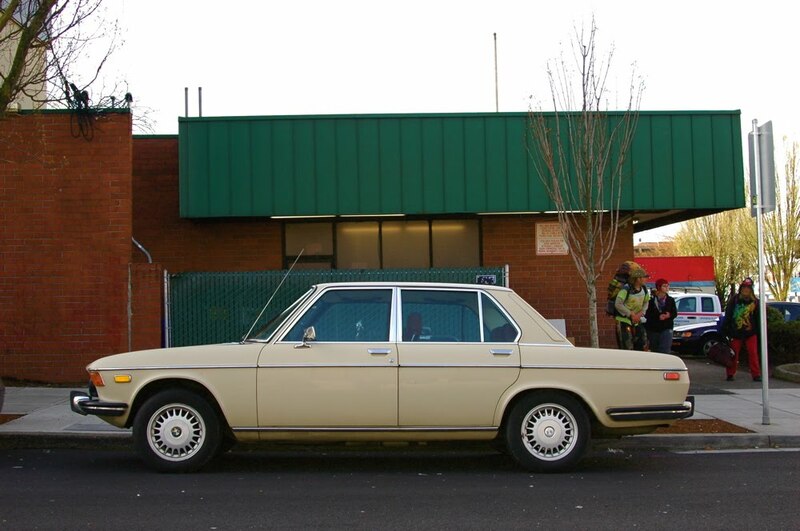 What a pretty car. Great color, love the wheels too.